Sever's disease is based on the symptoms reported. To confirm the diagnosis, the clinician will examine the heels and ask about the child's activity level and participation in sports. They may also squeeze the back part of the heel from both sides at the same time to see if doing so causes pain and also ask the child to stand on tiptoes to see if that position causes pain. There may be tightness in the calf muscle, which contributes to tension on the heel. Symptoms are usually worse during or after activity and get better with rest. X-rays generally are not that helpful in diagnosing Sever's disease, but they may be ordered to rule out other problems, such as fractures. Sever's disease cannot be seen on an X-ray. Treatment includes modifying activities and resting to reduce pain and inflammation and take pressure off the growth center. Ice can also be very helpful in relieving symptoms, as well as anti-inflammatory medication. A physical therapy program should be initiated to stretch tight calf muscles and strengthen the ankle muscles to relieve tension on the growth center. Shoes with padded heel surfaces and good arch support can decrease pain. Cleats may need to be avoided for some time to help reduce symptoms. The doctor may also recommend gel heel cups or supportive shoe inserts. Arch pain (medically known as plantar pain) is a broad term many people use to describe pain in their muscles, tendons, ligaments, bones, or nerves. All these components are connected to the bottom of the foot; therefore, damage to any one of these can cause pain on the bottom of the foot. This pain may only last for short time, but can progressively worsen if untreated. Most people who suffer from this pain are between the ages of 30 and 80, but many younger athletes are also susceptible, particularly those who participate in high-impact sports. When you first begin to notice discomfort or pain in the area, you can treat yourself with rest, ice, compression, and elevation (RICE). Over-the-counter medications may also be used to reduce discomfort and pain. Rest will allow the tissues to heal themselves by preventing any further stress to the affected area. Ice should be applied no longer than 20 minutes. The ice may be put in a plastic bag or wrapped in a towel. Commercial ice packs are not recommended because they are usually too cold. Compression and elevation will help prevent any swelling of the affected tissues. There are two types of over-the-counter medication that may help with the pain and swelling of arch pain. Acetaminophen (Tylenol) will help with the pain, and a nonsteroidal anti-inflammatory such as aspirin, ibuprofen, or naproxen will help with the pain and battle the inflammatory response. Caution should be taken when using these drugs, and dosage should not exceed the labeled directions. Special care should be taken and a physician consulted if you have a history of stomach ulcers. Those who have chronic medical conditions or who are taking other medications should consult with their doctor regarding the most appropriate type of pain and/or anti-inflammatory medications. Commercial over-the-counter arch supports or orthotics may also help to ease arch pain. Overview The Achilles tendon is the largest tendon in the human body. It connects the calf muscle to the heel bone. However, this tendon is also the most common site of rupture or tendonitis, an inflammation of the tendon due to overuse. Achilles tendon rupture is a partial or complete tear of the Achilles tendon. It comes on suddenly, sometimes with a popping sound, and can be debilitating. A full rupture is more severe, but less common, than a partial rupture. A full rupture splits the Achilles tendon so that it no longer connects the calf muscle to the heel: the calf muscle can no longer cause the foot to ?push off?, so normal walking is impossible. If it is a full rupture, then lightly pinching the Achilles tendon with the forefinger and thumb will reveal a gap in the Achilles tendon. Partial and full Achilles tendon ruptures are most likely to occur in sports requiring sudden stretching, such as sprinting and racquet sports. Partial Achilles tendon tears are also common among middle and long distance runners. Causes Often an Achilles rupture can occur spontaneously without any prodromal symptoms. Unfortunately the first "pop" or "snap" that you experience is your Achilles tendon rupture. Achilles tendon rupture most commonly occurs in the middle-aged male athlete (the weekend warrior who is engaging in a pickup game of basketball, for example). Injury often occurs during recreational sports that require bursts of jumping, pivoting, and running. Most often these are tennis, racquetball, squash, basketball, soccer, softball and badminton. Achilles rupture can happen in the following situations. You make a forceful push-off with your foot while your knee is straightened by the powerful thigh muscles. One example might be starting a foot race or jumping. 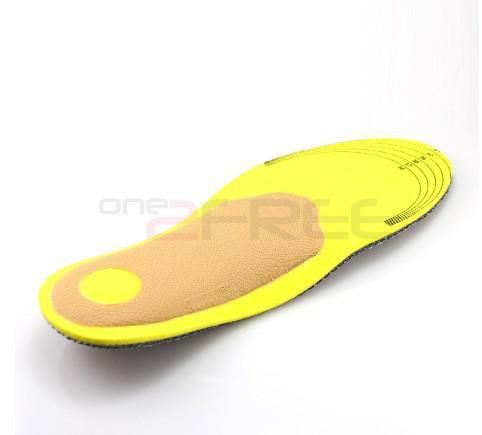 You suddenly trip or stumble, and your foot is thrust in front to break a fall, forcefully over stretching the tendon. You fall from a significant height. It does appear that previous history of Achilles tendonitis results in a degenerative tendon, which can grow weak and thin with age and lack of use. Then it becomes prone to injury or rupture. Certain illnesses (such as arthritis and diabetes) and medications (such as corticosteroids and some antibiotics) can also increase the risk of rupture. Symptoms A sudden and severe pain may be felt at the back of the ankle or calf, often described as "being hit by a rock or shot" or "like someone stepped onto the back of my ankle." The sound of a loud pop or snap may be reported. A gap or depression may be felt and seen in the tendon about 2 inches above the heel bone. Initial pain, swelling, and stiffness may be followed by bruising and weakness. The pain may decrease quickly, and smaller tendons may retain the ability to point the toes. Without the Achilles tendon, though, this would be very difficult. Standing on tiptoe and pushing off when walking will be impossible. A complete tear is more common than a partial tear. Diagnosis The diagnosis of an Achilles tendon rupture is made entirely on physical examination. Often, there is a substantial defect in the Achilles from 2-5 cm before it inserts into the heel bone. However, the main test is to determine whether the Achilles has been ruptured is the Thompson test. This essentially involves placing the patient on their stomach and squeezing the calf muscle. If the Achilles is intact, the foot will rise [plantar flex]. If it is ruptured, the foot will not move and will tend to be in a lower lying position. Non Surgical Treatment Once a diagnosis of Achilles tendon rupture has been confirmed, a referral to an orthopaedic specialist for treatment will be recommended. Treatment for an Achilles tendon rupture aims to facilitate the torn ends of the tendon healing back together again. Treatment may be non-surgical (conservative) or surgical. Factors such as the site and extent of the rupture, the time since the rupture occurred and the preferences of the specialist and patient will be considered when deciding which treatment will be undertaken. Some cases of rupture that have not responded well to non-surgical treatment may require surgery at a later stage. The doctor will immobilise the ankle in a cast or a special hinged splint (known as a ?moon boot?) with the foot in a toes-pointed position. The cast or splint will stay in place for 6 - 8 weeks. The cast will be checked and may be changed during this time. Surgical Treatment Surgery may be indicated directly following injury rather than conservative care. Repair of an achilles tendon rupture is greatly varied for each clinical situation. There may be a direct repair of the ends of the tendon with suture, or possibly a tendon graft used to augment the tendon. Post-operatively, the period of immobilization will depend on the size of the defect that was repaired and how it was completed. Usually the immobilization is between 6-10 weeks. This repair may allow for a complete return to normal function, but in many instances the healing is complicated with adhesions and a partial loss of range of motion. There may be a continued soft tissue defect noted and a permanent or prolonged swelling. Prevention Achilles tendon rupture can be prevented by avoiding chronic injury to the Achilles tendon (i.e. tendonitis), as well as being careful to warm up and stretch properly before physical activity. Additionally, be sure to use properly fitting equipment (e.g. running shoes) and correct training techniques to avoid this problem! The sensation of sore, aching feet or arch pain refers to an inflammation and burning sensation at the arch of the foot. This inflammation is due to the excessive stretching of the fibrous tissue located along the bottom surface of the foot, called plantar fascia. Plantar fascitis is the term named after this condition and described as inflammation of the fascia, muscles and ligaments on the bottom of the foot, causing pain in the heel and arch of the foot. At the other end of the spectrum, yet within the same category of congenital flat foot, exist several rare, more severe forms of flat foot. These severe conditions include Vertical Talus, Congenital Calcaneal Valgus, and Tarsal Coalitions - all of which are more rigid (no arch with or without weight on the foot) and definitely symptomatic. Luckily, these are much less common, but can usually be identified by specialists at the time of presentation and treated appropriately. The second category, acquired flat foot, develops over time, rather than at birth. Many different factors can contribute to the development of flat feet. These include the types of shoes a child wears, a child's sitting or sleeping positions, compensation for other abnormalities further up the leg, or more severe factors such as rupture of ligaments or tendons in the foot. Very commonly, the reason for flat feet is that the foot is compensating for a tight Achilles tendon. If the Achilles tendon is tight, then it causes the foot to point down, or to plantarflex (as occurs when stepping on the accelerator of your car). Even minimal amounts of plantarflexion can simulate a longer leg on that particular side, assuming that the other foot is in the normal position. The body therefore tries to compensate by pronating, or flattening out the arch, thereby making up for the perceived extra length on the affected side. Noticed that your current foot will be getting flatter plus more painful? Accomplish you've difficulty walking or doing exercise exercise with out leg and also arch pain? Have you heard the actual term "fallen arches"? Most associated with these things refer to a disorder known as posterior tibial tendon dysfunction. This kind of is definitely an inflammation and also overuse syndrome associated with certainly one of the actual extended tendons that will pass from the leg across the inside with the ankle along with attaches for the inside arch with the foot. the posterior tibial tendon?s job can be to aid support the arch and permit for more efficient gait. Posterior tibial tendon dysfunction will end up being the most typical cause of acquired adult flatfoot deformity. There is actually certainly usually zero certain event in which begins the particular problem, such as a rapid tendon injury. more commonly, the particular tendon becomes injured coming from cumulative use along with tear. Posterior tibial tendon dysfunction occurs more commonly in patients who currently use a flat foot with regard to additional reasons. As the arch flattens, much more tension is placed on the posterior tibial tendon and also on the ligaments about the inside in the foot and ankle. The Particular outcome is a progressive disorder. At first you might recognize pain along with swelling along the medial (big toe) aspect of the foot. This is the area exactly where the posterior tibialis tendon travels from your again in the leg below the actual medial ankle bone towards the foot. While the condition gets worse, tendon failure occurs as well as the pain gets worse. A Few patients experience pain over the lateral (outside) side of the foot, too. A Person could find that the feet harm at the end of your day or perhaps following long intervals of standing. some individuals with this particular issue possess problems rising up in his or her toes. That They could end up being not able to participate fully in sports or virtually any other recreational activities. In diagnosing flatfoot, the particular foot & Ankle surgeon examines the particular foot along with observes the means it looks once you stand and sit. weight bearing x-rays are utilized to figure out the severity of the disorder. Advanced imaging, for example magnetic resonance imaging (MRI) as well as computed tomography (CAT as well as CT) scans may always be accustomed to assess various ligaments, tendons and joint/cartilage damage. The Actual foot & Ankle Institute features 3 extremity MRI?s upon website with our Des Plaines, Highland Park, and also Lincoln Park locations. These kinds of extremity MRI?s just take regarding 30 minutes for that study and only requires the patient put their foot right directly into a painless device avoiding the actual uncomfortable Claustrophobia in which a quantity of MRI devices create. Stage one deformities usually reply for you to conservative as well as non-surgical therapy for example anti-inflammatory medication, casting, functional orthotics or even a foot ankle orthosis referred to as a Richie Brace. When these modalities are usually unsuccessful surgery can be warranted. If conservative remedy fails to supply relief associated with pain as well as disability then surgery will be considered. Numerous factors decide if a new individual is really a surgical candidate. they consist of age, obesity, diabetes, vascular status, as well as the capability to be compliant together with post-operative care. Surgery usually demands an extended period involving time regarding nonweightbearing immobilization. Total recovery ranges coming from three months to a minimum of one year. Clinical, x-ray, and also MRI examination are usually just about all utilized to select the right surgical procedure.